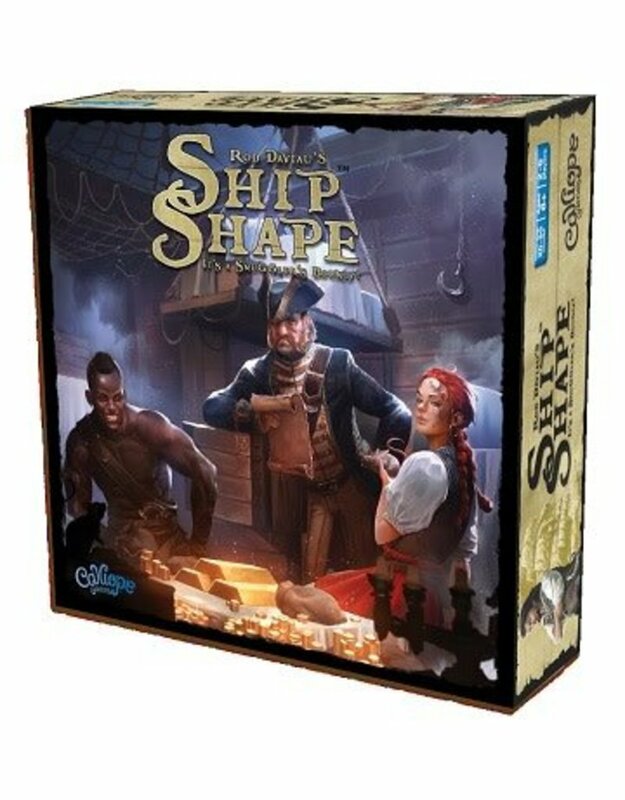 Ahoy, captain – set sail for fun, adventure, and riches! Your savvy crew does your bidding, stacking your hold with the most profitable crates. Will you choose glittering treasure, colossal cannons, or perhaps some risky – but lucrative – contraband? Outwit and outbid all others to earn the biggest bounty . . . but above all, keep everything ShipShape™! 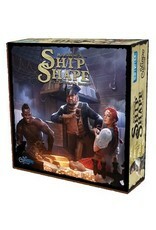 In ShipShape™, 2-6 players each control a ship. Over the course of three voyages (rounds), you bid using numbered crew cards to claim unique crate tiles off the central stack. Fill your hold with gold, cannons, and contraband and cover up what you don't want. At the end of each voyage, score coins by comparing your holds with everyone else, looking only at what is visible in your hold.